No trip to southeast Florida would be complete without a trip to Le Tub! 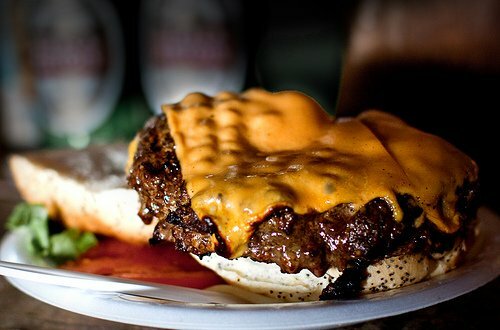 This hidden Hollywood landmark, saloon shack like structure has been serving up the best burgers in the US since long before GQ magazine and Oprah's Gayle discovered it. Their fish sandwich and chowder are mighty tasty as well. Le Tub is a quirky little restaurant. In fact it was originally a Sunoco gas station, but in 1974 the current owner purchased and renovated the odd little place with found objects (plumbing fixture discards). 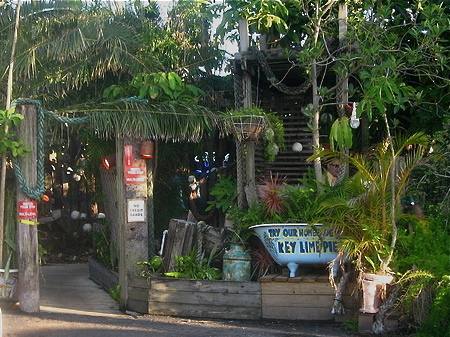 On the intracoastal waterway just a block or two from the ocean Le Tub offers casual rustic outdoor dining. I've been eating here since... well, for many years. I can honestly say the place is exactly the same. Patience pays here, Le Tub's kitchen is a small tiny section of the bar and the wait can be long. Just relax – remember it's practically island time here. The food is always good and I could swear the burgers got bigger (14oz), but don't expect to be impressed by the decor because it's more likely to amuse you. Don't bring your credit cards to Le Tub either, they're a cash only establishment. From its quirky pottery (toilets and tubs) to its rustic open air dining Le Tub is a local's favorite. It's just the right place to kick back and know you've truly arrived in Florida.